Nikko Pelaez, a Filipino artist, has been selected as a finalist in this year’s Vans Asia Custom Culture Competition. The competition,which was hosted and created by Vans, returned to Asia this year after a successful run in 2017, in an effort to expand its reach to more audiences and provide a platform for Asian artists. 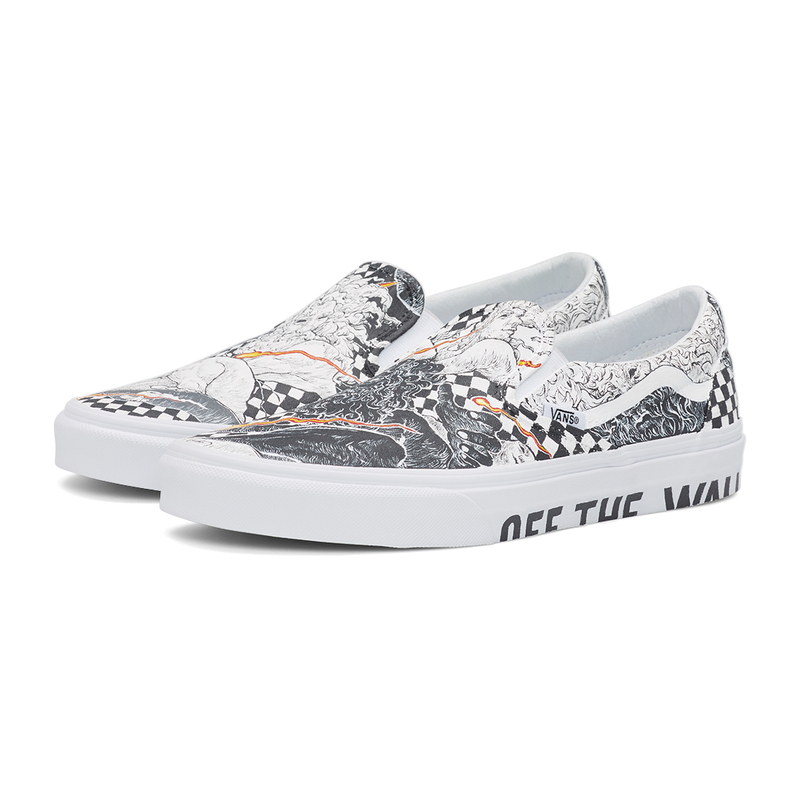 The competition commenced in April of this year, with design submissions on their famous True White Slip-On open to participants from Australia, China, and Southeast Asia. Designs were then shortlisted by judges to a mere eleven finalists whose designs best reflected the creative, original, and Off-the-Wall spirit of the brand, whilst maintaining hints of local flavor. This year, one of those finalists included artist Nikko Pelaez, who is currently the only Filipino finalist in the competition. A native of Malabon City, Nikko’s design takes on a myriad of imagery in stark contrasts of black and white, symbolizing truth and freedom in a yin-yang balance, according to his statement on the competition’s website. Nikko is currently up against ten other finalists hailing from Hong Kong, Thailand, China, India, Singapore, Japan, Korea, Malaysia, Indonesia, and Australia. Public voting is currently ongoing on House of Vans Asia’s website to determine the final winner, which will be announced on October 30th.